Professor Stephen Daley is Professor of Industrial Active Control within Engineering and Physical Sciences at the University of Southampton. Steve Daley is Professor of Industrial Active Control at the Institute of Sound and Vibration Research and Director of the BAE Systems Centre for Research in Active Control (CRAC). After graduating with a 1st Class Honours Degree in Mechanical Engineering in 1981 he received a PhD in 1984 from the University of Leeds for his thesis on the attitude control of large flexible spacecraft. Following a two-year period working as a researcher at the GEC Engineering Research Centre (ERC) he joined the Department of Electrical Engineering and Electronics at Brunel University as a Lecturer in Control Engineering in 1986. He rejoined ERC in 1990 and following the acquisition of the Centre by ALSTOM in 1996 was promoted to Technology Head for Control and Monitoring. 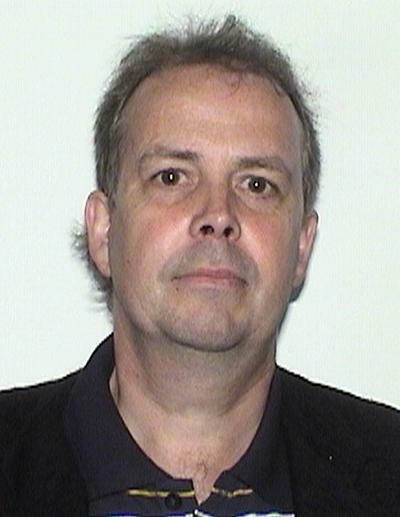 In 2003 he returned to an academic position as Professor of Industrial Control in the Department of Automatic Control and Systems Engineering at the University of Sheffield and moved to the ISVR in 2010. Professor Daley has published widely on a broad variety of applications focussed control systems research and has been the recipient of numerous prizes and awards for his work including the 1999 Honeywell International Medal from the Institution of Measurement of Control, the 1988 Thomas Bernard Hall Prize from the Institute of Mechanical Engineers, the 2002 ALSTOM Power Technical Excellence Award and three BAE Systems Chairman’s Silver Awards for Innovation. His main research activity is in the development of active noise and vibration control systems with particular application to both dynamic testing and vibration problems in large marine structures. He continues to work closely with industry, is an inventor on two current worldwide patents with a further two pending and is a founding director of the University of Southampton spin-out company ClanTect Limited. Professor Daley serves on various committees of IFAC, IET and IMechE, and from 2003-2008 he was both Chairman of the IMechE Informatics and Control Working Group and a member of the UK Automatic Control Council Executive Committee. He serves on the Editorial Board of the Proceedings of the IMechE, Part I, is an Associate Editor of both the IFAC Journal Control Engineering Practice and the Journal on Advances in Acoustics and Vibration and is on the editorial advisory board of the International Journal of Automation and Computing. House, C., Cheer, J., & Daley, S. (Accepted/In press). On the use of virtual sensing for the real-time detection and active control of a scattered acoustic field. Paper presented at 26th International Congress on Sound and Vibration, Montreal, Canada. Hook, K., Cheer, J., & Daley, S. (2018). A parametric study and modal analysis of an acoustic black hole on a beam. Paper presented at International Conference on Noise & Vibration Engineering (ISMA) 2018, Leuven, Belgium. Milton, J., Cheer, J., & Daley, S. (2018). An inverse method for the identification of the radiation resistance matrix from measurable acoustic and structural responses. Paper presented at 25th International Congress on Sound and Vibration , Japan. House, C., Cheer, J., & Daley, S. (2018). The effect of active vibration control on the sound field scattered from a flexible structure. Paper presented at International Conference on Noise & Vibration Engineering (ISMA) 2018, Leuven, Belgium. Milton, J. J., Cheer, J., & Daley, S. (2017). Decentralised active vibration control using a remote sensing strategy. Paper presented at 24th International Congress on Sound and Vibration, London, United Kingdom. Cheer, J., & Daley, S. (2017). The effect of active noise control on the effective material properties. Paper presented at 24th International Congress on Sound and Vibration, London, United Kingdom. Cheer, J., McCormick, C., & Daley, S. (2016). An active acoustic metamaterial for the control of sound transmission. Paper presented at 23rd International Congress on Sound & Vibration, Athens, Greece. Cheer, J., & Daley, S. (2015). Broadband active control of noise and vibration in a fluid-filled pipeline using an array of non-intrusive structural actuators. Paper presented at 44th International Congress on Noise Control Engineering (inter.noise 2015), United States. Cheer, J., & Daley, S. (2014). A method of adaptation between steepest-descent and Newton's algorithm for multichannel active control of tonal noise and vibration. In Proceedings of the 21st International Congress on Sound and Vibration International Institute of Acoustics and Vibration. Cheer, J., & Daley, S. (2014). Multivariable control of tonal disturbances using minimization of the maximum error signal through adaptive error signal weighting. Paper presented at inter.noise 2014: 43rd International Congress on Noise Control Engineering: Improving the World through Noise Control, Australia. Reynolds, M., & Daley, S. (2014). Performance and stability constraints of an active acoustic metamaterial. Paper presented at The 21st International Congress on Sound and Vibration, China. Reynolds, M., Gao, Y., & Daley, S. (2013). An active viscoelastic metamaterial with enhanced band gap properties. Paper presented at 20th International Congress on Sound and Vibration (ICSV20), Thailand. Przedwojski, M., & Daley, S. (2013). An H-infinity design approach to the control of human induced vibration in office floor structures. Paper presented at 20th International Congress on Sound and Vibration (ICSV20), Thailand. Pelegrinis, M. T., Pope, S. A., Zazas, I., & Daley, S. (2013). Noise suppression using local acceleration feedback control of and active absorber. Paper presented at 20th International Congress on Sound and Vibration (ICSV20), Thailand. Pope, S., Laalej, H., & Daley, S. (2012). Active elastic metamaterials with applications in acoustics. Acoustics 2012, France. Pope, S. A., Laalej, H., Daley, S., & Reynolds, M. (2012). Active elastic metamaterials with applications in vibration and acoustics. Paper presented at Internoise 2012, United States. Reynolds, M., Daley, S., Gao, Y., & Pope, S. (2012). Controller architectures for optimum performance in practical active acoustic metamaterials. Paper presented at Acoustics 2012 - 11th Congrès Français d'Acoustique and the 2012 Annual l Institute of Acoustics (IOA) Meeting, France. Ubaid, U., Daley, S., Zazas, I., & Pope, S. (2012). Experimental validation of a geometric method for the design of stable and broadband vibration controllers using a propeller blade test rig. Paper presented at UKACC International Conference on Control 2012, United Kingdom. Ubaid, U., Pope, S. A., & Daley, S. (2011). Design of remotely located stable vibration controllers for non-minimum phase dynamics. 14th Asia Pacific Vibration Conference, Hong Kong. Orivuori, J., Zazas, I., & Daley, S. (2010). Active control of a frequency varying tonal disturbance by a nonlinear optimal controller with frequency tracking. 104-109. Paper presented at PSYCO 2010: IFAC Workshop Periodic Control Systems, Turkey.